This is not a post about the drunken activities of spring breakers. Sorry. Rather, it is about the newest residents on the ranch. 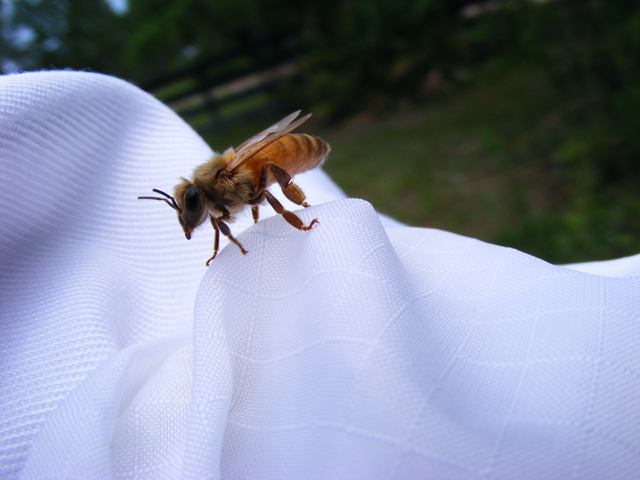 She’s one of thousands in the three packages of bees we received on Thursday. I arrived home from my latest round of hyperbaric treatments (two more teeth yanked out of my head!) 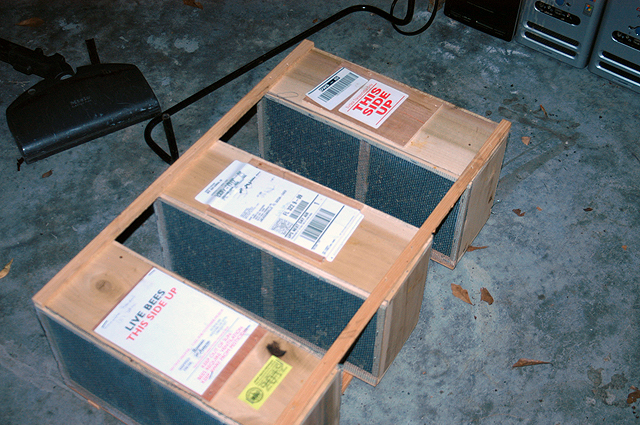 and the bees had already arrived, via a UPS driver who is allergic to bees. Apparently, as my family told me when I got home, he didn’t stick around longer than necessary to drop off the package and speed away. People seem to think that honeybees are the same as wasps and yellowjackets and such, and generally are prone to freak out about tens of thousands of bees (in cages, mind you), but they are much more docile than their flying cousins. Since they can only sting once, and die immediately after doing so, it is in their best interests to reserve their rage for when it is well-founded, rather than stinging without regard. Or stinging multiple times, like the others can (and often) do. This is not to say that honeybees are thoughtful in the sense that we are, of course, or that they are particularly philosophical about their lot in life. They’re insects, after all. But they do have instincts, just like everything else on the planet. My sister, nephew, and I had set up the hives on blocks, ready to be filled with bees. From there, it was a simple matter of shaking the bees out into their respective new homes. With some help, of course. All in all, a very successful day with the bees. I went back afterward to put the feeders in place with some simple syrup for them to work with until they got their bearings and found real food. When they stop taking the syrup, I’ll remove the feeders.